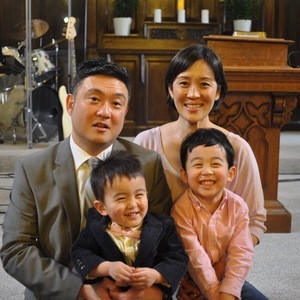 Pastor Seesun and his wife, Renee, along with their three children, Noelle, Josiah and Micah, have served Bethel since its beginning in June of 1994. He currently serves as the Senior Pastor, and shepherds the Wheeling congregation. Pastor Seesun grew up in Chicago ever since immigrating to the United States in 1972. God has given him a special love for the people of Chicago and is passionate to share and live out the good news of Jesus Christ in this world class city. Pastor Seesun was ordained in the PCA May 1995. Tae Kim grew up in the Chicagoland area. He attended Lane Tech H.S. and University of Illinois at Urbana-Champaign. 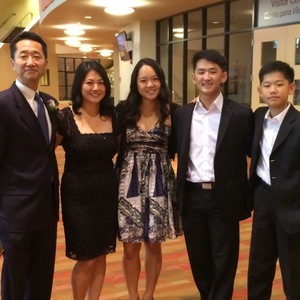 Tae and his wife Sarah have been married since 2001 and blessed with two children, Nathanael and Natalie. They thoroughly enjoy spending time together eating, playing sports, and hanging out with friends. Tae and his family came to Bethel Wheeling in 2013 to help with the Church planting. “What drew me to Bethel is the teaching of Reformed Theology and the diversity of people.” Tae continues his passion to share the gospel and reaches out to people whether on a basketball court or traveling for work. He serves in the Worship service, Men’s group, and BODs/small group. Michael has been coming to Bethel Christian Church since 1998. He met his beautiful wife, Anna, at Bethel and got married in 2004. They have been blessed to have a son, Noah, and identical twin girls, Emma and Chloe. Michael chose Bethel as his home church for two reasons: 1) Pastor Seesun and his biblical teaching and 2) the community at Bethel. "I believe we do community well and can say we are truly a church family. We want to encourage and equip the members within our church so that we can partner to reach out to the world. I would love to see our church continue to grow in number but more importantly to grow in maturity with our walk with God. We need discipleship and devotion for God in our daily lives. I don't want our church to be just happy with hearing sermons, doing Bible studies and having fellowship. I want to see lives changed so that we don't live mediocre Christian lives, but a life that is full of joy doing what glorifies God and enjoying Him. Paul Yi grew up on the northside of Chicago in a conservative Christian home, but didn’t commit his life to Christ until he was saved by the grace of God his freshman year in high school. He shared in the vision of Bethel Christian Church, and was part of the original church plant in 1994. In 2003, he married Jina and in 2014 they were blessed with two sons, Emmett and Wyatt. Paul was ordained as an Elder in 2006, and currently serves in the music and children’s ministries.